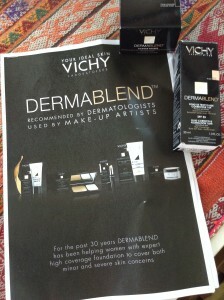 Check out my post here on the fantastic Vichy Dermablend foundation range. Amazing coverage and natural looking. I really rate it. This entry was posted in Make Up and tagged vichy dermablend by Mamasim. Bookmark the permalink.